OTTAWA, Canada, 09 May, 2016—The Interagency Coalition on AIDS and Development (ICAD), RESULTS Canada, and ICASO congratulate the Government of Canada on its global health leadership and commitment to the fight against AIDS, tuberculosis and malaria globally. Today, the Prime Minister announced Canada will host world leaders for the Fifth Replenishment Conference of the Global Fund to Fight AIDS, Tuberculosis, and Malaria (Global Fund). This global gathering will convene world leaders to mobilize ambitious funding commitments for the period of 2017-2019. Investments of this level will drive transformative change to the trajectory of these three global epidemics, and will improve global health more broadly. “A fully funded Global Fund means more lives saved, stronger health systems, thriving communities and significant advancements in gender equity and human rights. We are proud that Canada will host this pivotal conference, and we look forward to welcoming world leaders to our country” said Robin Montgomery, Executive Director of ICAD. The Global Fund is an international financing institution that mobilizes and disburses resources to countries to support programming that prevents, treats, and cares for people living with and affected by HIV and AIDS, TB and malaria. Providing the greatest value for highest impact, the Global Fund estimates that every USD $100 million contributed saves up to 60,000 lives, averts up to 2.3 million infections of the three diseases combined, and spurs USD $2.2 billion in long-term economic gains. Canada has been a committed supporter of the Global Fund since its inception in 2002, with contributions to date totaling CAD $2.1 billion. Through this support, The Global Fund is able to provide the necessary funds for programming in implementing countries, which has saved 17 million lives since 2002. “A successful replenishment will be one of many critical steps in ensuring that communities have the support they need to respond to these epidemics. It will be great for Canada to play a leadership role in that process,” says Mary Ann Torres, Executive Director of ICASO. RESULTS Canada, ICAD and ICASO welcome Canada’s commitment to accelerating progress against these three diseases in the affected countries and communities. We look forward to Canada’s leadership in working with the Global Fund and its stakeholders to improve access to life-saving health medicines and services globally.  The Interagency Coalition on AIDS and Development (ICAD) is a Canadian coalition of approximately 100 Canadian AIDS service organizations (ASOs), international non-governmental organizations (INGOs), faith-based organizations, educational institutions, labour unions, and engaged individuals. ICAD helps Canadians contribute to international HIV/AIDS work and ensures that the lessons learned from the global response to HIV/AIDS are utilized by Canadian organizations to improve prevention, care, treatment and support work in Canada. ICAD does this through improving public policy, providing information and analysis, and sharing lessons learned. Since its creation in 1991, ICASO has facilitated the inclusion and leadership of communities in the effort to bring about an end to the AIDS pandemic, recognizing the importance of promoting health and human rights as part of this undertaking.